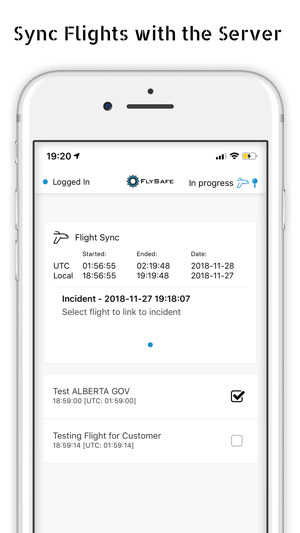 AirMarket FLYSAFE Commercial app provides Canadian commercial drone operators with a platform to Plan, Fly, and Comply with the Canadian regulations. 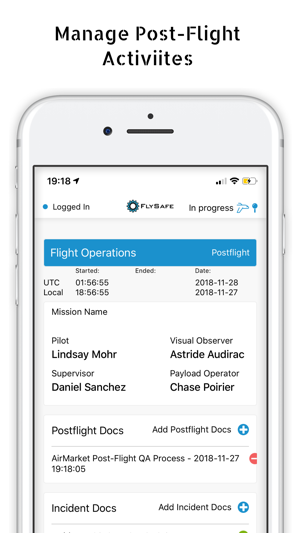 The platform enables users to plan and track flight operations, maintenance, incidents and equipment all from an easy to use software application. 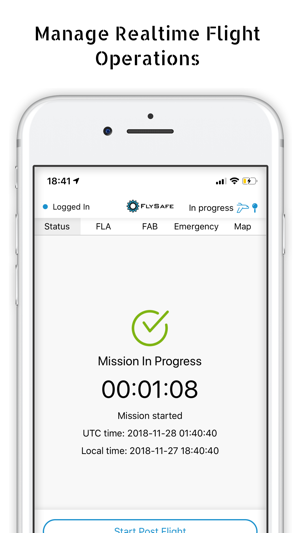 FLYSAFE Commercial reduces the burden by automating many of the tasks required to be compliant from your mobile device. 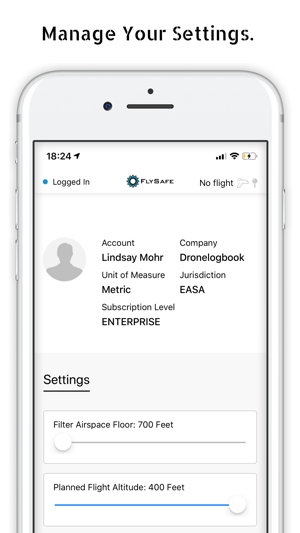 - Use our Quick Flight feature to manage ad-hoc flights in the field with offline support: assign pilots, equipment, documents to flights on the mobile app. 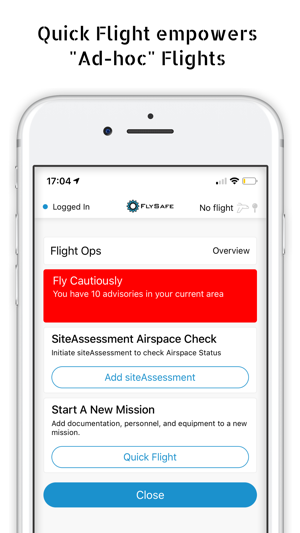 - Conduct Pre-Flight Site Assessments to increase your airspace awareness and bring all the information you need to conduct safe flights. - Auto sync flight data and documents to telemetry (if telemetry synced to server). - DJI Sync to DJI go to import flights into server. 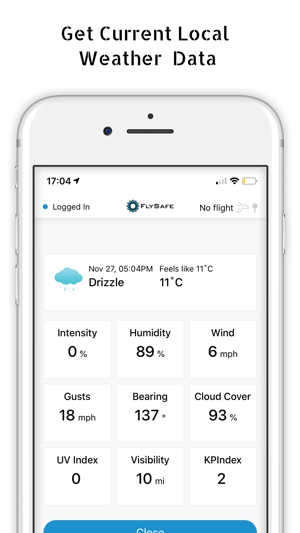 - Create flights without telemetry and sync flight data to server. - Review your documentations, entered from your online account. - Operate offline and sync when you are online with your AirMarket account. 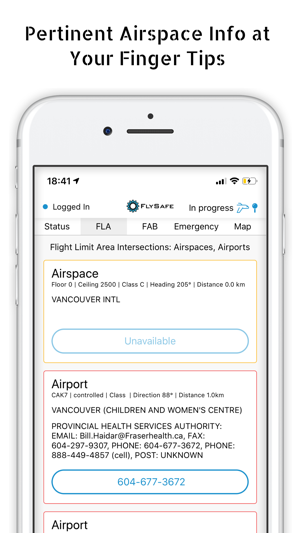 - Generate Pre-Flight Site Assessments Reports as required by Canadian regulation, empowered by AirMarkets' industry recognized aviation data. - Generate compliance and logging reports in seconds. Regulatory agencies require you to produce records on demand. - Import flight log files or automatically push your flight data from 3rd party apps. We support more all major drone manufacturers. 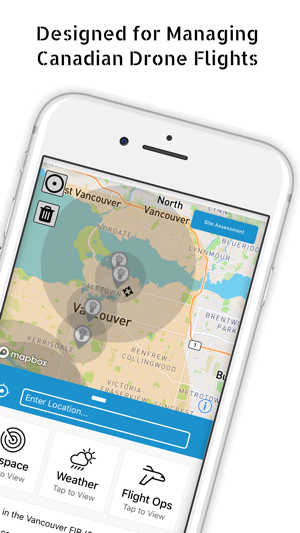 - Show exactly where, when and how the mission was executed. 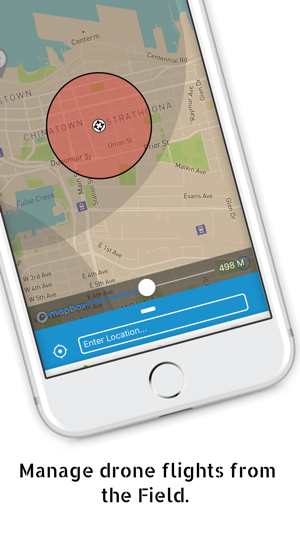 - Attach documentation to flights to track compliance. - Project folders with all flights & documentation in a single folder to better manage operations and compliance. - Create custom reports in seconds. - Ability to add projects. 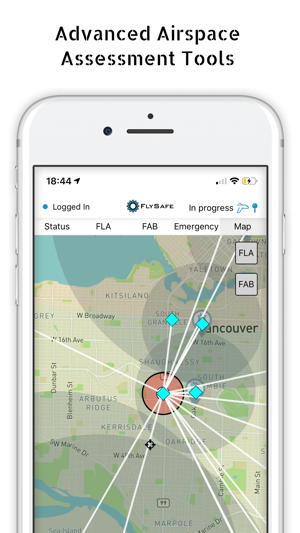 - Able to review data from dashboard: Batteries, Flights, Locations, Drones, Equipment, Incidents.